When children are young, their imaginations run wild—unhindered by the experience and fear of embarrassment that develops as they grow older. 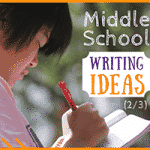 During elementary school and middle school, many kids have trouble coming up with the same types of creative ideas that may have come naturally when they were younger. To combat this problem, it’s important for parents and teachers to encourage creativity and cultivate inspiration in their students. 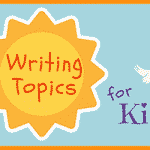 By helping kids understand the creative process, you can help them feel more comfortable expressing themselves. 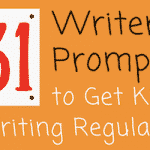 In these 54 new writing prompts, kids have the chance to reflect on what it means to be inspired and how it feels to work on something creative. They’ll consider the best places to find inspiration and the benefits of working with a group to accomplish creative projects. 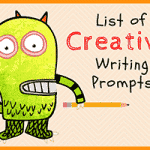 Special prompts with creative ideas also inspire them to begin writing and to come up with new thoughts and solutions. 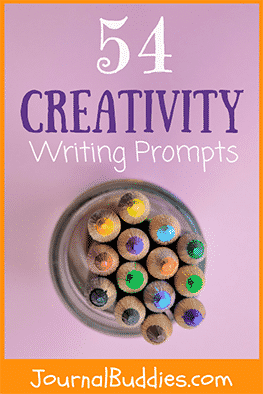 As kids write and reflect on the search for inspiration and the importance of creativity, they’ll find fresh ideas inside that they never knew they had. 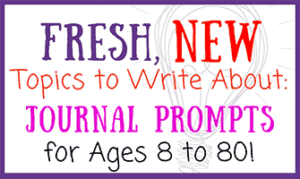 Inspire students today with these new journal prompts on creativity. 1. Do you consider yourself to be a creative person? Why or why not? 2. Why are new ideas important? 4. What is your favorite way to express your creative side? What do you like about it? 5. 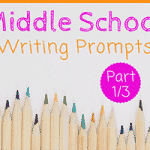 Write a poem that addresses an object or place directly. 6. How do you feel when you work on something creative? 7. What do you do when you get an idea? 8. Has anyone ever limited your creativity? How did you feel? 9. Do you feel more creative by yourself or when you work with others? Why do you think this is? 10. What would it be like to live in a world without color? 11. What does it mean to be creative? 12. How can you share inspiration? 13. 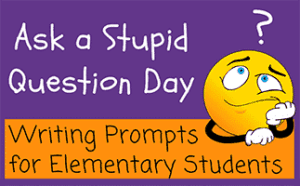 Come up with an idea for a new invention. What will your idea do? How will it work? 14. How can you exercise your creativity? 15. Listen to your favorite song and begin writing about how it makes you feel. Try not to edit what you write, and instead, see where the music takes you. 16. Rewrite the first chapter of your favorite book. 17. Do you ever run out of creative ideas? How does that make you feel? 18. Begin free-writing about your day, starting with the moment you woke up. Don’t let your pen leave the page! 19. Imagine you are a famous artist, musician, actor, or writer. What type of work do you do and how does it make you feel? 20. What does inspiration feel like? 21. How can you suspend judgment when observing others? 22. What do you do when you need inspiration? 23. Do you remember your dreams? How can you incorporate them into your creative work? 24. How do creative attitudes help us to see others more clearly? 25. What space do you work in when you are feeling creative? 26. What does it mean to be inspired? 27. 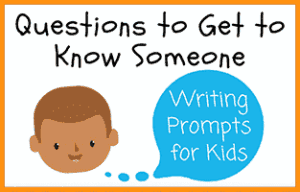 Try working on a different type of art and write about your experience. For example, if you like to draw, try painting. 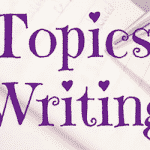 If you normally write short stories, try to write song lyrics or a poem. 28. Make a list of 10 random words. 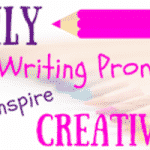 Now, write one story that somehow includes each word. 29. How can looking at the work of others help you to find inspiration? 30. Why do people need to be inspired? 31. Do you feel like you have a good imagination? Why or why not? 32. 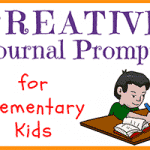 Write a story about the day in the life of your favorite animal. 33. When do you feel most creative? 34. Write a poem that describes your favorite piece of art. 35. What do you do when you feel creative? 36. What is your favorite way to express yourself? 37. What is the best way to find inspiration? 38. Is it possible to find inspiration or do you have to wait for it to come to you? 39. Where do you go to find inspiration? 40. Why is creativity important? 41. 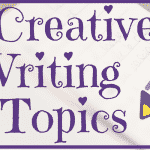 Have you ever had writer’s block while journaling? How does it feel? 42. What is the coolest thing you’ve ever created? Why is it special to you? 43. Write about a person who inspires you. 44. Sit outside for 15 minutes and write about everything you see. 45. What would happen if you received a check in the mail for $10,000? 46. Is it ever difficult to find inspiration? 47. How do you feel after completing a creative project? 48. How can you inspire someone else to be creative? 49. 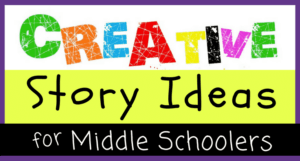 Can an idea modeled on someone else’s idea be creative? Why or why not? 50. Do you feel more creative when you have lots of time or when you’re working on a deadline? 51. 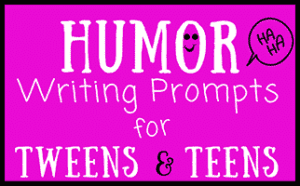 Write about a time when you created something with other people. How did you feel during and after the project? 52. How does learning help you to be creative? 53. Why should you write down new ideas when you think of them? 54. Have you ever found inspiration in an old creation or piece of your work? Here’s to inspiration and creativity!